We all love Easter. 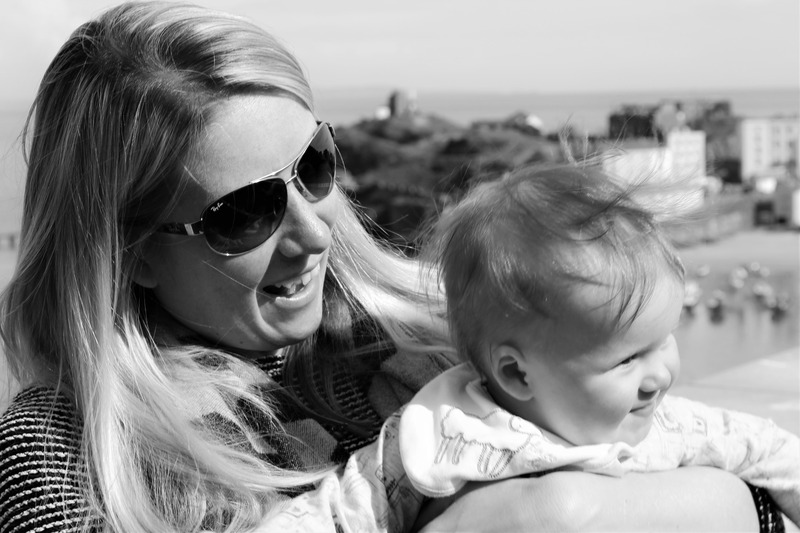 And, as parents Easter is such a special time of year for both you and your children. 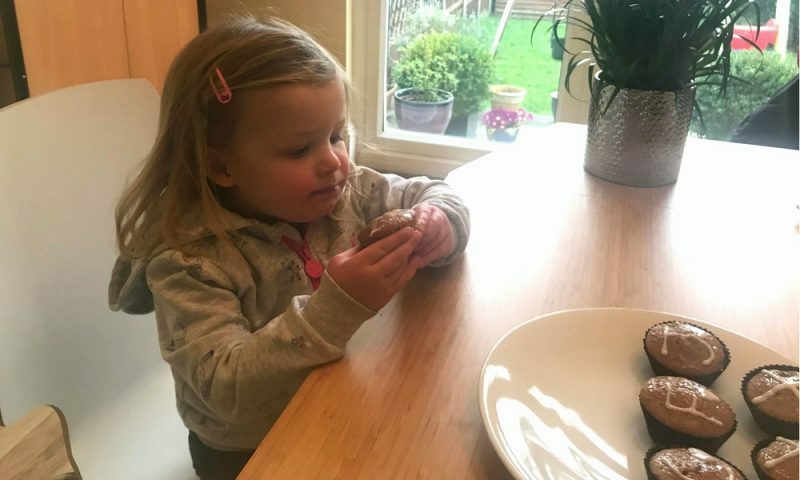 There are so many activities that your children can get involved in; from making Easter Eggs, to creating Easter bonnets, to Easter Egg hunts, as well as baking. For yourself there are so many chocolate eggs that you can consume, and all the other Easter related treats such as Hot Cross Buns. 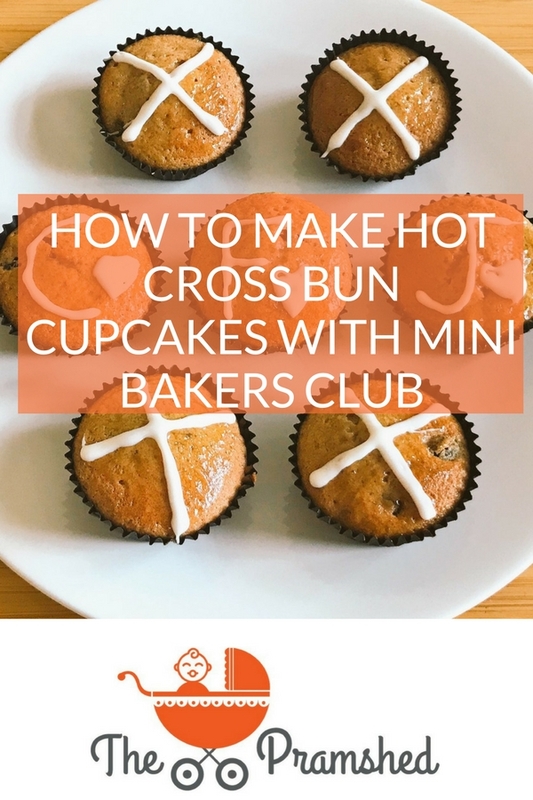 So we were really excited to review the Mini Bakers Club baking subscription kit to make our own Hot Cross Bun cupcakes. 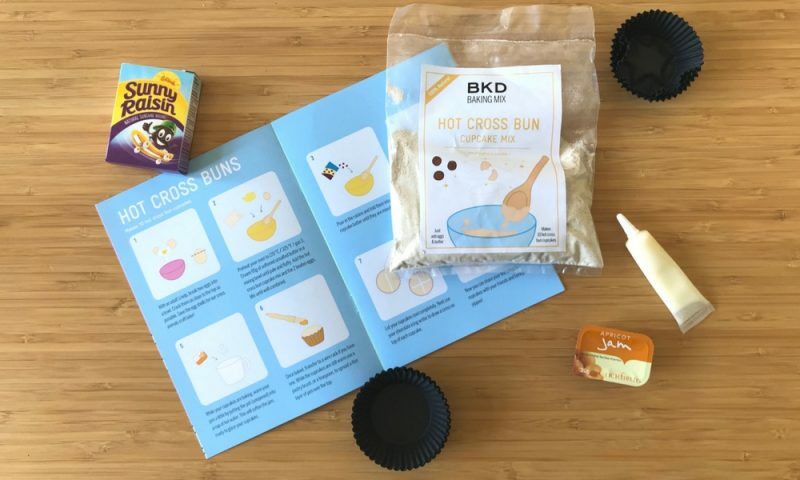 What are the Mini Bakers Club baking subscription kits? These are kits that arrive in the post, that can fit through your letterbox. 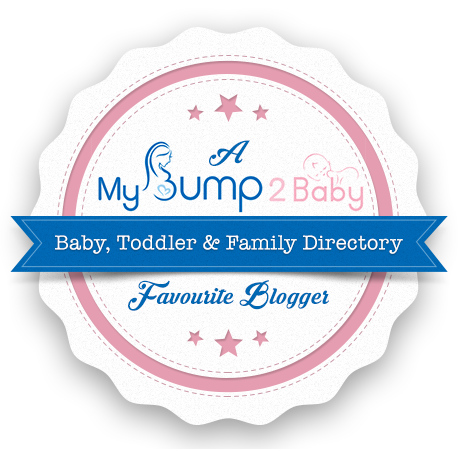 The kit is perfect for kids, plus it’s personalised with their name on the front and on the inside packaging – making them feel extra special. 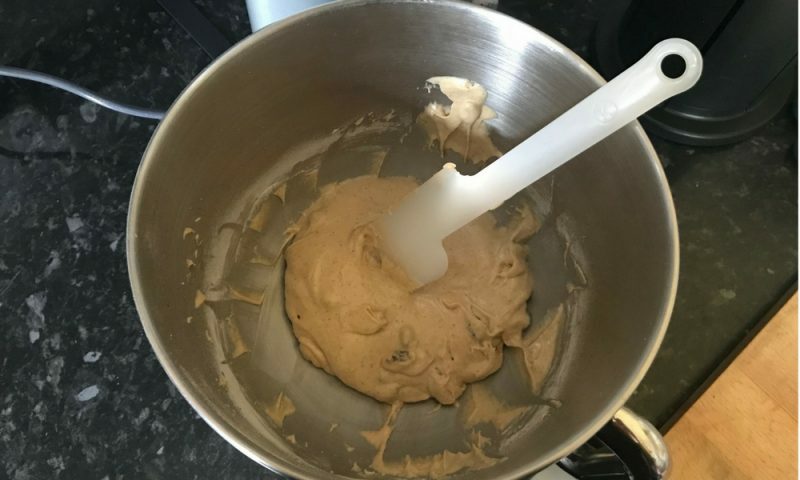 Every month there is a new recipe, and our kit arrived with all the ingredients we needed to make the Hot Cross Bun cupcakes (excluding any fresh ingredients such as eggs and butter). In addition to this the kit also contained a few activities for your child to do, including a learning element and this month it is about photosynthesis and how plants grow. Plus our kit provided us with the instructions to make cress animals using empty egg shells and the provided bunny ears. These were so easy to make, and my 2 year old really enjoyed helping me and eating them afterwards. In addition you will need to provide 95g of butter and 2 eggs. Add the pack of raisins, and fold until mixed well. 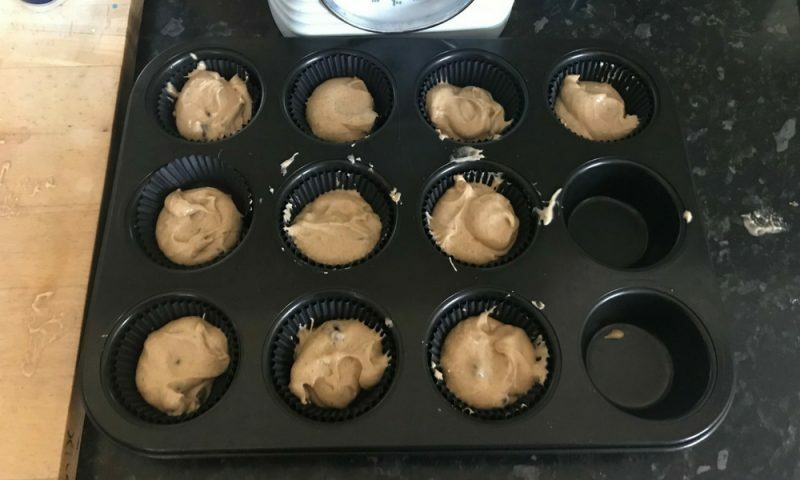 Place the cupcakes into a cupcake tray, and spoon the mixture equally between the 10 cupcake cases. Bake your cupcakes for 12 – 14 minutes, until they have risen and have a springy texture. 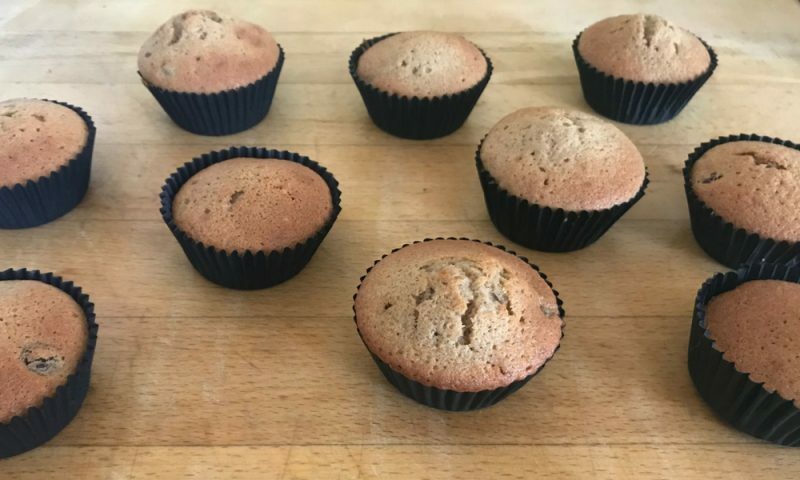 Once your cupcakes have cooked, warm the apricot jam and glaze the top of each cupcake with the warmed jam. 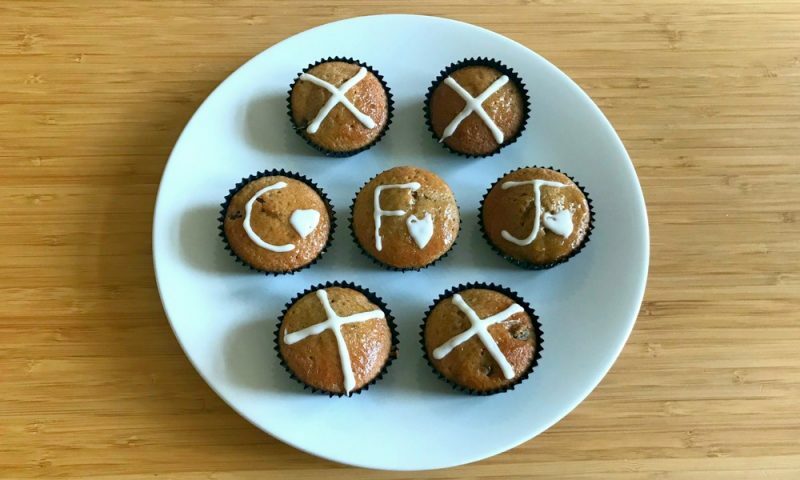 Only once your cupcakes are cool, apply the white chocolate icing in the shape of a cross, or a shape of your choice. 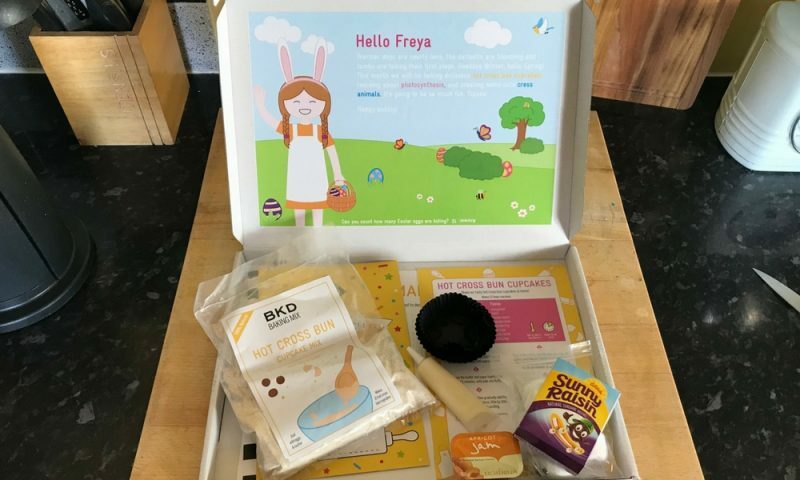 We loved receiving and using our Mini Bakers Club baking subscription kit, our daughter enjoyed it and was thrilled when it arrived in the post. If you fancy getting your hands on these kits, you can purchase a one-off kit for £9.99, or a 3-month, 6-month or 12-month subscription from the website. They would also make a fantastic gift for a child who loves to bake. Have a lovely Easter, and I hope that the Easter bunny brings you a treat! N.B This is a collaborative post.